Magic ISO download free for windows. Download Magic ISO full version free here. It is a powerful too to create/edit/extract CD/DVD image files. MagicISO has the ability to create ISO image files. You can directly add/delete/rename files or folder in CD image files. 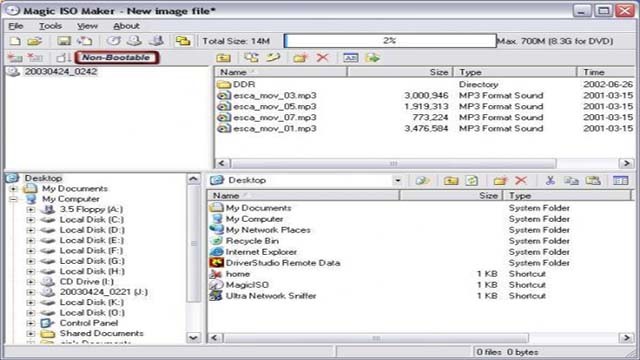 If you want to mount CD/DVD image files virtually to your PC use this Daemons tools lite. It can convert bin to iso and vice versa. Allows you combine multiple OS installation CD into one CD/DVD image file. Magic ISO package includes ISO extractor, ISO converter, ISO burner and ISO creator. It can handle up to 10G large sizes so that user can extract/edit/open DVD image files in ease. It can make image files from CD-ROM or hard disk, and handle bootable information. MagicISO has the ability to make bootable CD/DVD image file. Burn ISO file and CD/DVD image files to CD-R,CD-RW,DVD-R,DVD-RW,DVD+R,DVD+RW directly.